This way, when you swap out a child theme, you don’t lose any of the functionality aspects or open up any security problems with a large network of sites on the same parent theme. It is particularly important for developers selling the themes to multiple customers. For instance, you get a centralized location where controlling the theme functionality (with the parent theme) is possible. In short, this process keeps security and functionality strong without constantly adjusting what the child themes look like. 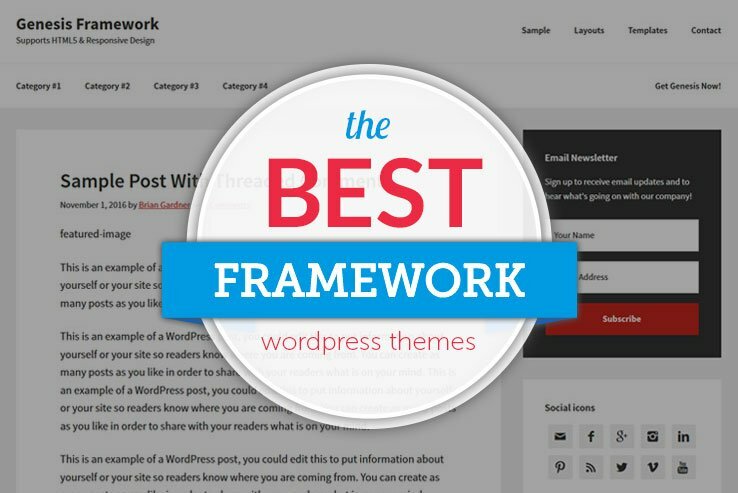 What to Look for in a WordPress Framework? It’s essential that you find a framework with lots of built-in functionality. You want a framework with custom widgets, built-in modules, and other items that make it easier to develop your sites into the future. The code quality must be high, and it’s best when your framework has a strong community behind it. For example, the Genesis Framework has a large community of bloggers, developers, and support reps. This way, you’ll be able to find various resources and child themes to make the process easier for you. Who Should Get a Framework? We like frameworks for people who have a little extra money to spend. Basic thinking would assume that only developers should go with frameworks, but even bloggers might find frameworks often speed up their development process. Not to mention, if you decide to change your child theme you won’t lose any of the primary tools included with the parent theme. We would argue that all developers should consider frameworks, and less experienced people should do it if they have a little extra money and time to spend on development (Frameworks really aren’t significantly more expensive than regular themes). If you’ve had experience with WordPress frameworks in the past, let us know about your favorites in the comments section. Also, feel free to share links to some of the better theme packages out there. 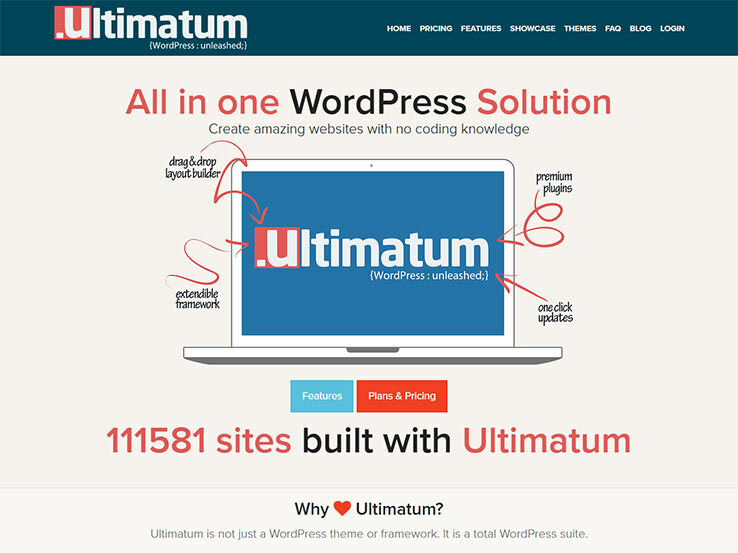 The Ultimatum WordPress suite is technically a framework, but the company sells it as a full WordPress suite. Basically, it provides a complete building system, with no need to learn any coding. Therefore, beginners and advanced developers can get in on the action without any problems. 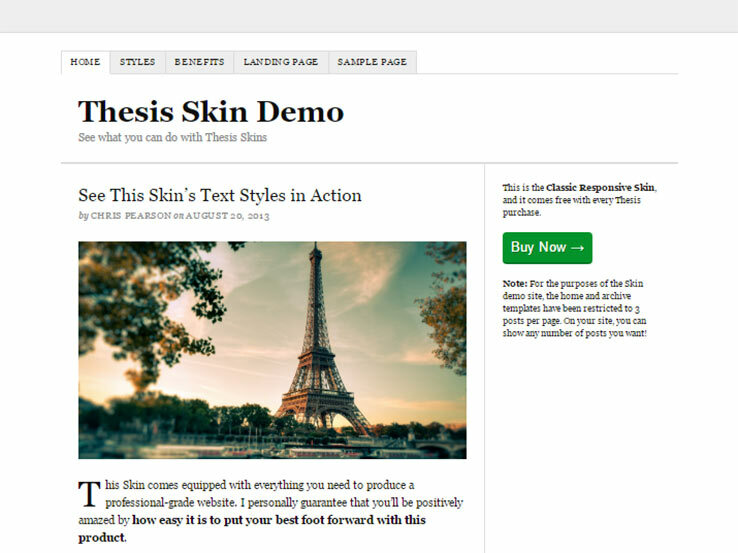 The framework has a drag and drop page builder with a wide variety of elements. You also get some premium plugins to improve the functionality of your sites. Styling is all done through the primary editor, but you can also insert your custom CSS with some rather advanced tools. The framework looks great on all devices, and it allows for making custom post types. Feel free to import and export your designs with the click of a button. Use the ten menu scripts to fully customize your navigational menu. Quite a few custom widgets come along with the framework as well, including sidebars, Twitter feeds, search bars, and custom loops. Genesis by StudioPress is one of the most popular frameworks on the market. StudioPress sells Genesis as a standalone framework, but also creates child themes. 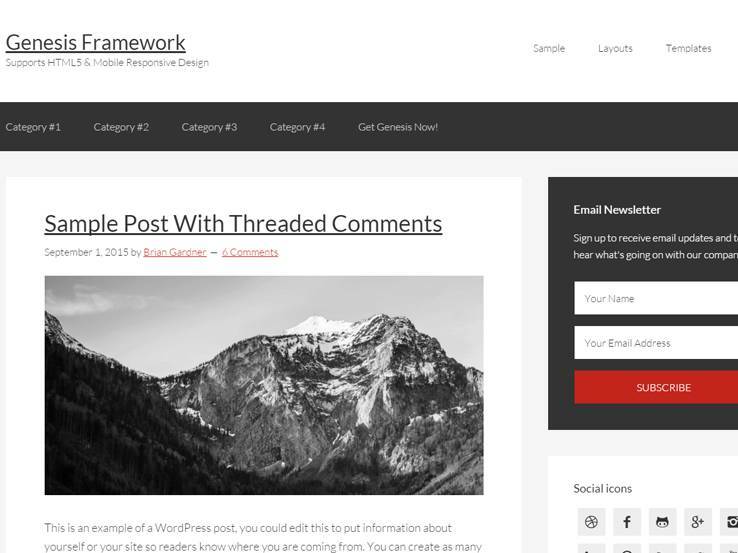 The Genesis framework child themes look modern and sleek, giving you options for blogging, real estate, podcasts, and more. The whole point of this framework is to quickly and easily build your website, regardless of your experience level. The theme options let you customize your site with the click of the mouse, and the custom page templates include options like archives and blog pages. You get custom widgets for popular post lists and email subscriber forms. Not to mention, Genesis has a few other plugins for additional widgets. We like Genesis because it offers a customizable header, regardless of which child theme is used. Not to mention, Genesis has everything from mobile responsiveness to custom menus, and full-width templates to sidebars. 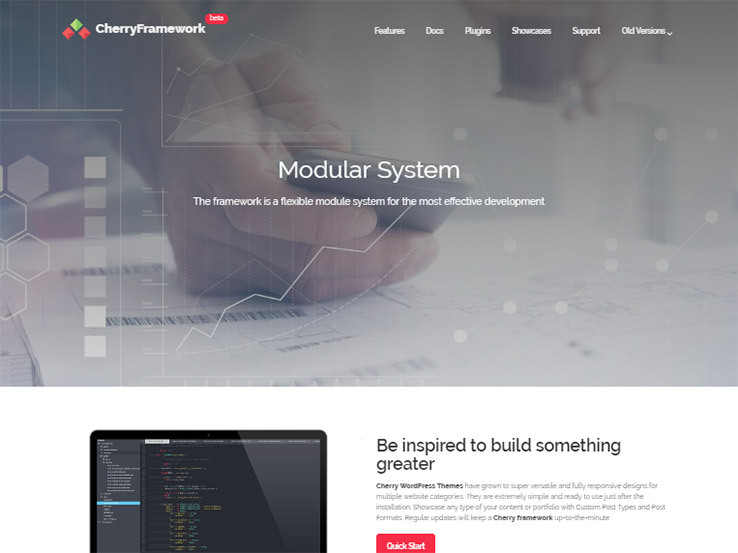 The Cherry Framework is quite popular, and it has an active community behind it. It’s more of a precision-built framework with child themes that are detailed and with beautiful design elements. The cool part about Cherry is that you can find child themes all over the internet. It’s almost similar to regular WordPress themes since big developers and large marketplaces provide specific Cherry child themes for just about every industry. One of the reasons I like Cherry so much is because it’s powerful, yet they keep things simple. For example, you get a variety of tools for responsiveness, translations, and SEO. All are easy to use and understand, yet are strong and provide even more customization options. Along with the additional those, you also gain access to advanced backups and filterable portfolios. We also enjoy the other built-in tools like custom widgets, shortcodes, and really cool sliders. 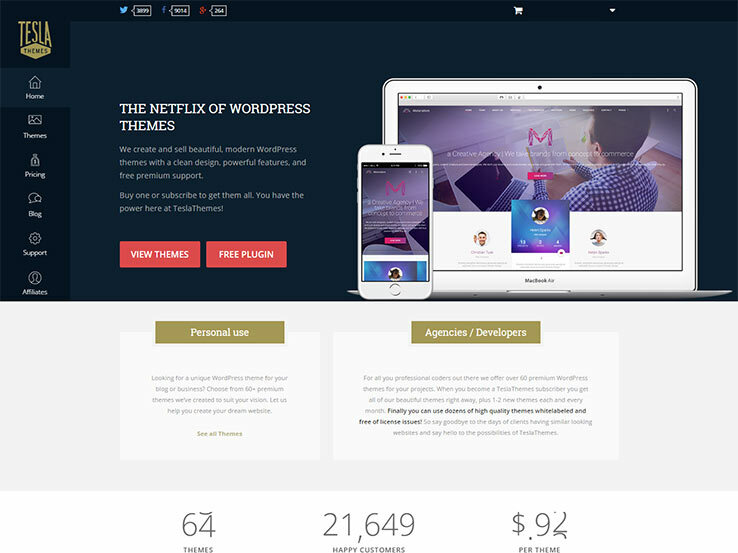 The Themify Builder is a page designer and builder for WordPress, and it integrates with the various themes and plugins provided through the Themify community. Overall, this is a drag and drop page builder with some framework-type elements. The backend has tons of modules such as dividers, call outs, boxes, posts, and menus. Easily organize your rows and columns with the click of a button with the provided modules inserted into them. As you may have already assumed, the Themify Builder offers an interface where you don’t need advanced coding skills. The builder provides several animations for guidance, and as a bonus, you get custom stylings such as Google Fonts and slider backgrounds. Some of the other custom styling options include parallax scrolling, a color picker, and a row overlay. Along with responsiveness, caching, multi-site support, various extensions, and translation tools, the Themify Builder looks pretty impressive. Thesis is yet another popular framework with an extensive collection of child themes to combine with the primary framework. This framework runs using three main features: Boxes, skins, and site tools. The skins get you started with templates and customization tools. Then you can take full control over the templates with the template editor. The boxes work like apps for your WordPress website, allowing you to drop new functionality into your Thesis design, all without the need for coding. What’s more is that the Thesis community is consistently providing support, talking about problems, and developing new ways to ensure that the Themify Builder has everything it needs to help out customers. Some of the other interesting tools include a 404-page builder and an SEO module for verifying your site through Google and Bing. We also like the markup schema to improve your SEO and separate your site from other results under Google. 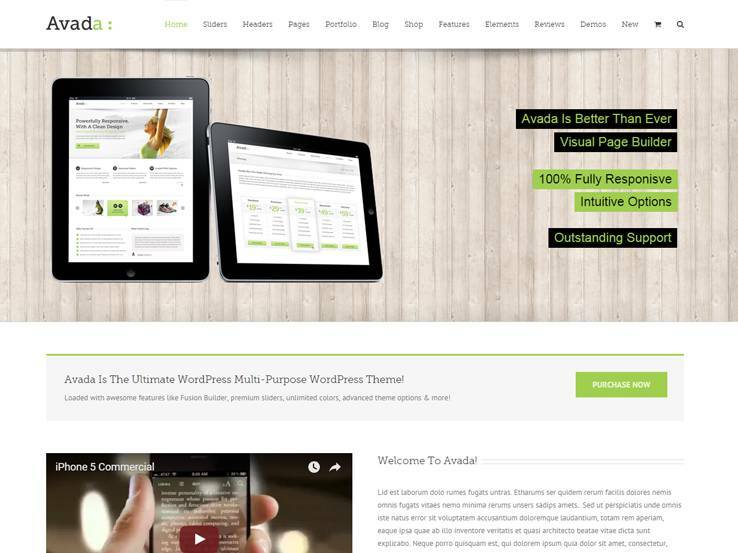 Avada is a multi-purpose theme with various themes and demos packed in with your purchase. Therefore, it’s not a framework, but a theme package. Avada is a top choice for so many developers since you receive dozens of themes for the purchase of one. Not to mention, you don’t have to constantly keep uninstalling themes when you’d like to swap in a new one. All of the demos are managed on one dashboard, making the price of $60 pretty darn reasonable. Some of the theme demos include options for technology, restaurants, photography, and forums. You manage your site with the help of the Fusion drag and drop builder, utilizing elements like images, columns, tabs, and more. It would take a full post to cover all of the features in Avada, but we can tell you that it integrates with WooCommerce, just in case you’d like to sell items online. Furthermore, the Avada theme has unlimited designs, responsiveness, a shortcode generator, and a one-page parallax option. 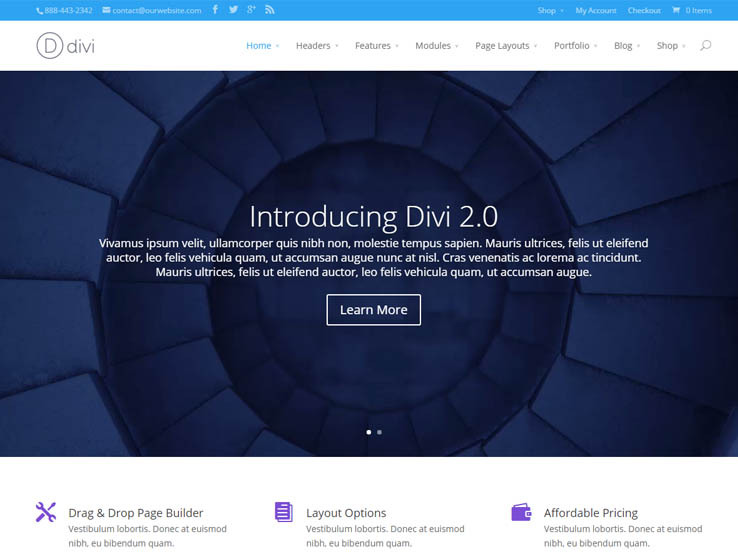 Powered by a drag-and-drop interface, Divi has grown to become one of the most popular WordPress theme frameworks on the web. The template is super easy to use and is packed with powerful functionality and plenty of customization options that make it ideal for building just about any type of website. The Divi builder includes 46 content elements and over 20 pre-made page layouts to expedite your design process. It is also highly customizable so you can adjust fonts, colors and everything else with live previews. Moreover, Divi comes with a conversion rate optimization system, rock solid security, dedicated support and a vibrant community of users. Tesla Themes provides a robust framework that makes it easy for beginners and experienced users to control the appearance and functionality of their sites. The powerful Tesla admin panel lets you upload your logo and favicon, change site colors, and adjust SEO and social media settings among other things. The framework comes with several pre-made templates, which will save you time when building pages like your About Us, Services, Contact, Portfolio, Events, and more. Also, you can quickly update the theme in one click. We love WordPress theme packages because they let you access a number of themes and benefits at a great price. 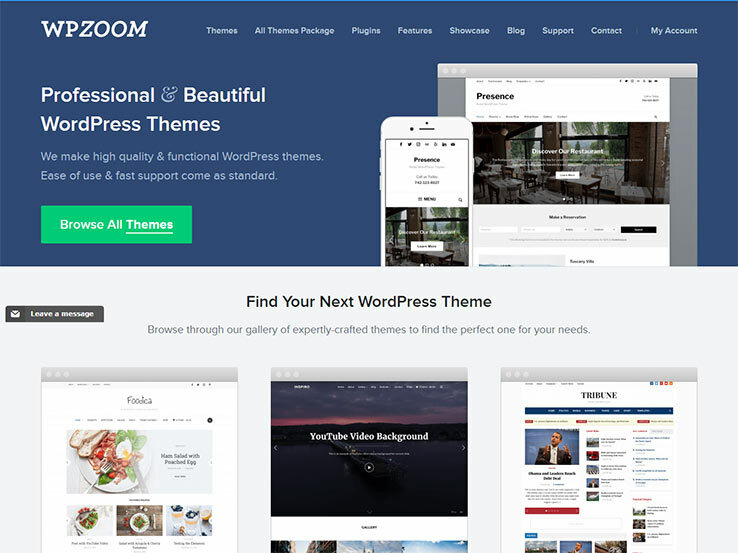 With WPZoom’s All Themes Package, you get access to 37 premium WordPress themes that you can use on an unlimited number of sites, world-class support, regular updates, and free access to any new themes as they’re released. The theme packages are great for beginners and freelancers as well as professionals and developers who might need access to the PSD Photoshop files. So whether you’re looking for business, magazine, WooCommerce, portfolio, or niche themes, check out WPZoom. 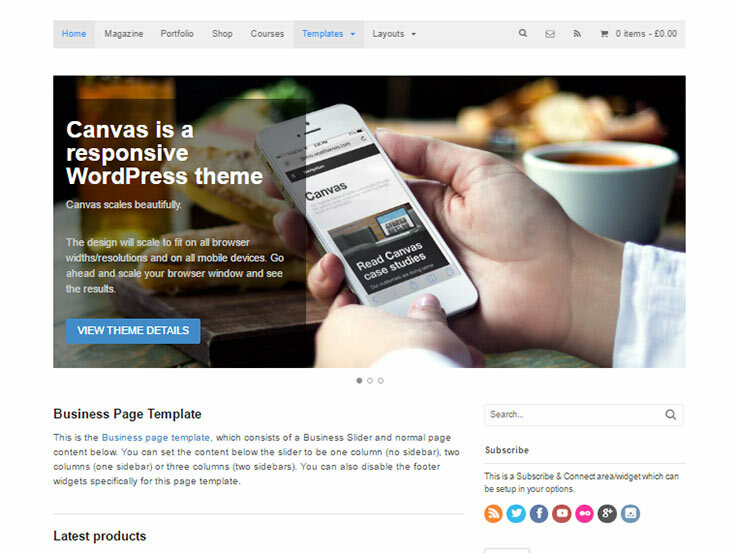 Canvas is a starter theme for WooCommerce, allowing you to construct a beautiful WordPress theme or website with eCommerce functionality. The designs, layouts, and typography are all managed through the options panel, and you can customize any elements from text boxes to images. The advanced layout controls adjust the site width and overall size, and the responsive layout looks wonderful on both phones and tablets. As you may have assumed, the theme integrates flawlessly with WooCommerce, and it has full Google Fonts support for branding your site with bold and beautiful font variations. You can integrate with child themes, which is possible with the help of all the WooCommerce developers spread throughout the world. The framework also comes with built-in tools such as widgets and a portfolio element. Many developers create magazines with Canvas, or you could integrate with WooSlider to improve the effectiveness of your eCommerce shop. I really appreciate your summary of the frameworks, themes, and overall descriptions. Is there a directory with more details available? Thanks! Hi Joanna, what type of information were you looking for? Good read. But you failed to include TemplatToaster in the list. It’s compatibility with all major CMSes and other unique features makes it outperform effortlessly. It’s a must try tool.